I couldn't really relate to these characters, that's part of the reason it took me so long to push through this short book. 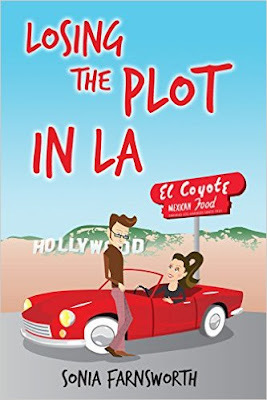 Some of the informal of language was hard for me to get use to, but 'Losing The Plot In LA' by Sonia Farnsworth impressed me for being what it was. The seemingly black and white morale I found at first, soon turned into a more entertaining canyon of adventure, showing that not every stereotype is to be believed. Funny and biting with saucy characters, it does a good job of exploring modern ideals of identity, so in that way it's a great little read for its target market.